Mob Violence: Will we see an end to it? "How do we understand the rising vigilantism? Why do a large number of people spontaneously agree to undertake such a violent act? Do they believe their act is justified and hence they are immune to legal action? Vigilantism in fact is a reflection of the displacement of culpability by the state. While state blames people for taking violence in their own hands, the people justify their action by pitting it against state inaction. Vigilantism is anything but recent. However it is the rising frequency which is alarming. What is also alarming is that the rise of such vigilantism is seen across the Indian subcontinent. Pakistan and Bangladesh as well is reeling under the threat of self appointed legal guardians which continuously undermines the state authority and institutions." The image of a blood soaked man begging for his life before he was beaten to death shocked the nation. This was the lynching of two men in Jharkhand on suspicion of being involved in kidnapping of children. 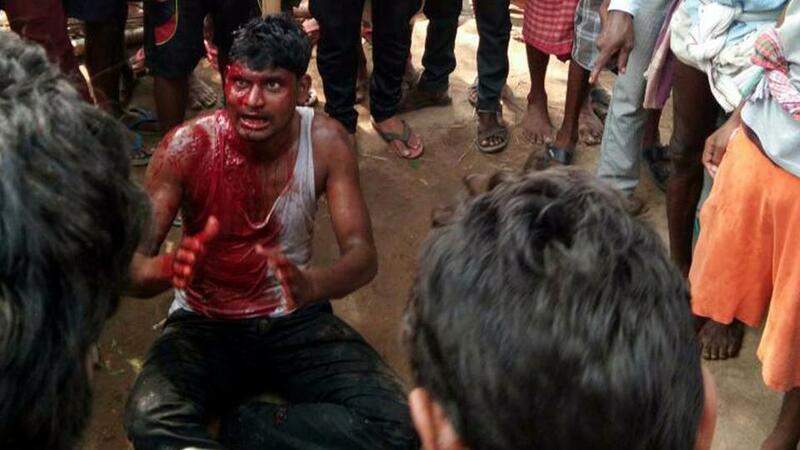 This incident of mob violence was not an isolated one. Of late mob vigilantism escalating to mob violence have become common. Many states have witnessed such crimes of violent mobs running amok. While writing this, along with the problems brewing in Bengal, similar news was coming from Uttarakhand as well. Two communities in a small town seems to have clashed based on an offensive Facebook post. While incident of mob violence may not be anything new, the frequency and the pattern would force one to take cognizance of this phenomenon. How do we understand the rising vigilantism? Why do a large number of people spontaneously agree to undertake such a violent act? Do they believe their act is justified and hence they are immune to legal action? Vigilantism in fact is a reflection of the displacement of culpability by the state. While state blames people for taking violence in their own hands, the people justify their action by pitting it against state inaction. Vigilantism is anything but recent. However it is the rising frequency which is alarming. In each and every case of mob vigilantism, the people are motivated by the peculiar mindset that it was their ‘duty’ to remove those they believe had subverted the discourse of morality in society. What is also alarming is that the rise of such vigilantism is seen across the Indian subcontinent. Pakistan and Bangladesh as well is reeling under the threat of self appointed legal guardians which continuously undermines the state authority and institutions. As the three countries share more than mere history, this phenomenon needs to be examined in case of all three nations. In India, from Dadri onwards most cases of mob vigilantism have been instigated by Gau Rakshaks – some self appointed cow welfare officials. They often intercept cattle traders on mere suspicion of smuggling cattle for slaughter. This is followed by looting and physical assault. Many a times it has escalated to full blown murderous violence and led to lynching of people. Dairy farmers like Pehlu Khan were murdered on mere suspicion of cattle smuggling. Gau Rakshaks are acting as a parallel police force. This has become possible because most states lack adequate police force. The Supreme Court has in fact directed states to fill in the vacancies. Some states in the process ended up outsourcing enforcement of law and order to the vigilantes. In Maharashtra, the government created the post of Honorary Animal Welfare Officer and placed one such officer in each district. In Haryana, Gau Rakshaks armed with hockey sticks patrol the national highway. In UP, such a role is being played by the Hindu Yuva Vahini which reports to the new CM. Gau Rakshaks are guided by emotional rhetoric and prejudiced hatred. The accountability is almost missing as mobs provide an anonymous cover for crimes. States’ hands are clean as violence is allegedly spontaneous. Cattle smuggling is a genuine problem. However should illegal transportation of cattle end in the lynching of a person if laws are there to take care of such offenders? The role of police as by-standers in such acts of violence is also worrisome. On the other hand it is the systematic targeting of minorities and Dalits who comprise the lower rungs of society and whose livelihood and income is being jeopardized should make us wary of such extra legal methods. The Una violence was an example of persecuting people for doing their traditional job. The situation is worse in Pakistan. Since independence the country has faced the problem of religious fundamentalism. It was worsened when Zia ul Haq institutionalized the infamous blasphemy laws. This has led to chronic harassment of minorities. Of late these laws are being used to target anyone who voices dissent. 23 year old Mashal Khan, a student of the Abdul Wali Khan University of Mardan, was accused of posting blasphemous content on social media defaming Islam. On 13 April, 2017 he was stripped naked, beaten and tortured by a violent mob which ultimately led to his death. The murder of Mashal Khan shares its place in the nation’s psyche along with the assassination of former Punjab governor Salman Taseer, the witch hunt against Asia Bibi and the multitude of victims who have been labeled as a blasphemer. The punishment under the blasphemy law is very rigorous. And it is often used to settle personal scores. Interestingly murderous mobs in Pakistan often target those accused of religious blasphemy or questioning the establishment. They are rarely out in the streets voicing public grievances. Political leaders often fall short of criticizing the blasphemy law which is at the root of such crimes. Vigilantes might be even enjoying political patronage. It creates an environment of all pervasive fear where people not only give up their freedom of expression but stop reflecting on their condition. Coming to Bangladesh, the country has witnessed the gradual mainstreaming of religious fundamentalism. In a country with corrupt police machinery, a very poor conviction rate – vigilantism has become an accepted phenomenon. Cold blooded murders of atheist, rationalist bloggers, gay rights activists show the deep seated problem in the society. By standers shooting videos and keeping quiet are also complicit in such crimes. Fundamentalists who claim to be saviours of faith have indulged in such murderous activities regularly. However the government is wary of coming out in support of the victims. The political hold of the right wing Islamist groups keeps any strict action at bay. As a result minorities and others who don’t toe the majoritarian line of thought have to pay a heavy price. In every case of mob vigilantism, fake messages are spread through social media platforms. The immediate instigation is to deliver ‘instant’ justice when courts take way too long. Due process of law must be defended because the requirement of intent and burden of proof allows for an impartial conclusion of guilt. However mob lynching is portrayed as filling a gap in the justice system. Continued mob violence can be attributed to the state’s inadequate response to social disorder and its inability to aggressively prosecute those involved in vigilante killings. There is a gap between the pace at which information and misinformation is spread and verified. It is at this gap that vigilantism finds refuge. New media has paved way for anonymous social media handles to incite hatred and violence. What has worsened the situation is the tendency to gain political mileage from such instances. It was blatantly visible in case of the recent West Bengal violence. Misinformation continues to be peddled by political leaders in order to further polarize the people. While arrests have been made in the lynching cases in India, a speedy conviction and deliverance of justice is yet to be witnessed. Political class must send a stronger message that mob violence is not acceptable. It is very important to ensure that the faith of the people from judiciary is not replaced by Kangaroo courts. Judiciary is bogged down by backlog. Filling vacancies both in judiciary as well as police, sensitizing police force to constitutional values is a must. It is the rule of law that must prevail. 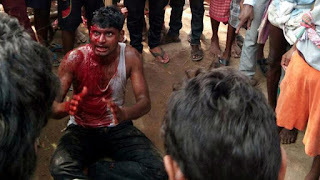 Otherwise law and order in the subcontinent will give way to the bloodlust of the mob.